Ayahuasca is a tea composed of two plants from the Amazon rain forest. It’s considered a medicine by the growing number of Westerners who are drinking ayahuasca in sacred ceremonies in search of psychospiritual healing. The self-reports from the questionnaires and interviews revealed five ways that ayahuasca is helping people change their lives for the better. 1. Positive Sense of Self: Perhaps the most important change people reported was that they felt better about themselves and felt that they had a right to exist. People said things like: “I’m more accepting of myself, more loving, kind, and patient. I have more self-confidence, take better care of myself, and have greater understanding. I’m less critical.” This last statement is important therapeutically, since a harsh inner critic can be constantly demoralizing in daily life. 2. Improved Mood: In terms of depression and anxiety, a few lucky people had what I call a spontaneous cure — “My depression is GONE,” one man wrote after a decade of antidepressant use and five years of psychotherapy. We don’t really understand such a dramatic response to the medicine; we can’t predict who will find such relief. 3. Healing of Trauma: People often report that during ceremonies they relived a traumatic childhood event, sometimes actually being in the scene and other times watching the scene from a distance as if it were a movie. In the former, the person might be recovering a lost memory, gaining access to information that they had blocked. In this case, the person might be experiencing the trauma with full body consciousness in a way they weren’t able to do at the time. They are likely to feel that they’ve regressed to the age they were when the traumatic event happened. In the latter case, the person is able to sustain an objective distance and maintain their adult perspective. Often these people report feeling great compassion for the child they were along with the ability to be more loving toward that child within. Whether the trauma is relived or observed during the ayahuasca ceremony, I think it can be very helpful to work with a therapist who is experienced with the medicine or altered states of consciousness. A skilled therapist would know how to approach these two ways of experiencing trauma differently. I recently heard of a woman who kept reliving the same trauma in every ayahuasca ceremony. This can actually be retraumatizing, and a therapist could help her break out of that loop and move forward. 5. Healthier Lifestyle: Similar to the findings on depression, a few lucky people reported a miracle cure when it came to their issues with alcohol: “After doing ayahuasca, I feel that alcohol is a poison.” “No desire for alcohol.” “I have more awareness around abuse of alcohol, so I drink less.” These people spontaneously began to view alcohol in a negative light. This effortless change in perception and behavior is the unique hallmark of ayahuasca. The changes are not a result of white-knuckle self-control but of an internal shift that seems to happen organically. The self-reports on marijuana were more complex, with some people reducing their use while others, who viewed marijuana as a plant ally of ayahuasca, maintained their habit. A few people said they were less interested in other psychedelics since their introduction to ayahuasca, but others continued to explore. There was a pattern of change in diet with the trend clearly in the direction of less sugar, junk food, and red meat; more vegetables and fruit; and smaller portions. One woman said, “Junk food is less appealing, even chocolate,” which I consider a major breakthrough. People also said they felt better after the ceremonies and enjoyed an increase in vitality and energy. With an increase in their activity level, many reported a weight loss. One man said, “I feel and look younger,” and two described a weight loss of forty pounds. These are remarkable changes after ayahausca ceremonies, but we must acknowledge that these self-reports are just the beginning indicators of the therapeutic potential of ayahuasca. Far more research is needed. We still don’t know who will benefit from this medicine or in what ways. And there are risks involved whether drinking ayahuasca in South America or here in the States. But for intrepid seekers of psychospiritual healing, ayahuasca is working in mysterious ways to change their lives for the better. 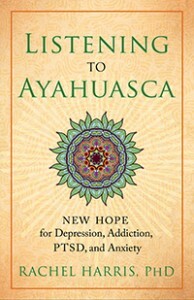 Rachel Harris, PhD, is the author of Listening to Ayahuasca: New Hope for Depression, Addiction, PTSD, and Anxiety. 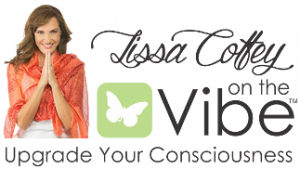 She received a National Institutes of Health New Investigator’s Award, has published more than forty scientific studies in peer-reviewed journals, and has worked as a psychological consultant to Fortune 500 companies and the United Nations. She lives on an island off the coast of Maine and in the San Francisco Bay Area. 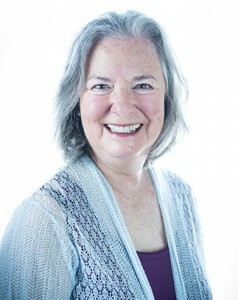 Visit her online at www.listeningtoayahuasca.com. Based on the book Listening to Ayahuasca. Copyright © 2017 by Rachel Harris.